Who is your favorite person to consume online marketing content from? My favorite of all time is absolutely Amy Porterfield. ⭐️⭐️⭐️⭐️⭐️ Here are a few reasons why she is one of my favorites, and will probably be your favorite too. Whenever I listen to her podcast (🎙️Online Marketing Made Easy) or read her content. I love her ability to lay her own past mistakes out on the table for others to learn from in a way that makes them seem not-so-scary for others to experience, although you can tell that she used each bad, or sometimes awkward experience to truly grow. She also connects with her audience. Even though she is running a busy and successful business with a team, I have witnessed casual, friendly, and helpful/encouraging replies between her and her followers. When I saw her speak this year, she took the time to take a picture and personally talk with about 30 people afterward. 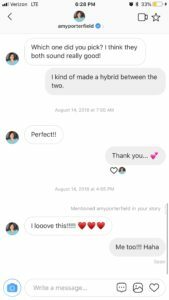 Heck, I’ve barely met Amy, and she’s taken the initiative to interact with me in a genuine way inside Instagram as well. 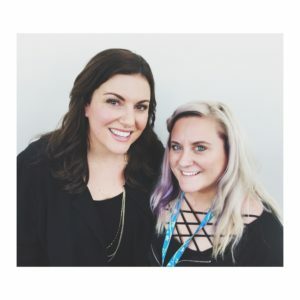 I believe there are tons of online influencers out there, and many of them are living amazing lives, but Amy seems to give her audience an inside look at the highs and the lows and the learning moments in between. We don’t just see the best of the best. It challenges us all to look inside ourselves and see how others can learn from every part of our being. I appreciate that. I had the pleasure of meeting Amy in San Diego this past Spring. If you don’t already listen to her podcast, start today! Here are some of my favorite (recent) episodes to get you started… but you can’t really go wrong.